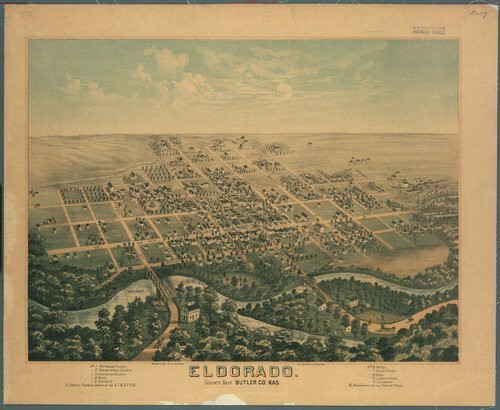 This image is a color lithograph of El Dorado, Kansas, the county seat of Butler County, Kansas. The lithograph shows the location of buildings, churches, schools, and Walnut River. A legend is provided to identify some of the buildings. The lithograph was drawn by D. D. Morse and published by Lott & Zeuch, lithographers, Chicago, Illinois.